How about a pflueger reel used in saltwater??? Who knows, maybe if they changed the shape of the aluminum it wouldn't corrode! Ha! Needless to say it but this one went into the trash. Can't fix it when the parts inside are dissolving into dust and rust! Talk about using a reel until it grinds to a halt! This is it! I think this one is a pflueger trion. Complaint was thumb bar was not engaging from cast mode. Reel stayed in cast mode. Problem: customer opened reel and tried to service himself. And when reassembling the reel he put this one spring in upside down. This spring has a long end and a short end. The long end goes into the frame and is designed to keep spring perpendicular to the frame. The short side allows the spring to move around and get out of place as seen here. Here's a strange one I found in a thrift store. And left in the thrift store... don't even know what this gimmick reel is. But it has a range finder? Yeah right! I would have bought that just to tell folks, "Hey, look at this chit here..."
Is that a vintage St. Croix Fishing Machine? Here is a Shimano Curado 200E7 I just finished up. This one came in the door in pieces and missing all parts on main drive shaft as in no handle, no drag star, nothing. And the threads on the main drive shaft were destroyed by the owner. This person already knew he was going to be into this reel for some parts, so he opted to just do a quick fix rather than a C&L on the reel, but I had to go deep into this reel so it got some good lubrication inside even if it did not get a deep cleaning. It got a Q tip cleaning just so I could work on it. It had a rusty spool bearing, and a destroyed AR pawl too. Another attempt at DIY at home and the big fail. The owner was not a happy camper bringing us this reel driving all the way from Lake Wales 2 hours away just to get his reel fixed. Just came out of the sonic cleaner... nothing wrong with this one. Just dirty and needing a good C&L. I found a little bit online about the old St. Croix telescoping rod and reel setup... it dates from around 1976 and sold new for about $25.00. is pretty simple to use in theory. the rangefinder lever to the on position. The reel will remember that setting. If you want to change locations, simply move the lever to the off position and repeat the steps over again." File this under " Cool Flea Market Finds " , or at least cool to me. I had a chance to visit an extremely large flea market last weekend , and managed to pick up this cool little telescopic rod/reel combo. I've honestly never seen one before and was pretty intrigued. I could have wasted my five bucks on something else , but I just had to add this little guy to my collection. There isn't really a ton of info online about these things , past expired eBay auctions and snippets of conversation buried in fishing and antiques forums , but I did manage to find out that they were made sometime around 1976. Mine is a Cosmo brand , but apparently they were also sold under the St. Croix name at some point. It's kind of a chicken or egg conundrum for me right now , since I'm not entirely sure whether St. Croix made them for Cosmo or Cosmo made them for St. Croix , though I suspect the latter. Regardless , it's a neat little rod and reel. I would certainly rather take my chances with this 5 foot rod and surprisingly smooth reel , than I would with it's main (and more successful) competitor , the Ronco Popeil Pocket Fisherman. It kind of blows my mind that I've never seen one of these before , but I assume it was only made for a year or two in an attempt to steal some of Ronco's market , and then discarded after it couldn't compete with legendary late night infomercial king , Ron Popeil. Kewl beans. That one is in really good shape. Would seem to be a nice little collector's item. Did the owner of the 200 E7 by any chance try to claim "my buddy swore he knew what he was doing"? Just curious. I mentioned before that I've heard that so many times when someone dropped off a baggie of gun parts that I lost count. Actually, the only person who was ever honest with me was my best friend, because he knew I'd call BS if he told me he let someone else work on his gun. Speaking of, need to call another guy and let him know I've got the time to come C&L his collection. I'll get to play with a couple MGs! SHC I don't do front counter so I don't usually talk to the customers and hear their reel stories. So I have no idea what his story is. All I know is he would like for us to fix it for him for free and he was bitchin' about all the parts he had to replace and how much they cost. But he is the one who took the reel apart and lost everything so he should not be venting our way for what he did. And it cost him $82.50 even after we cut the price of 2 parts in half for him. The drag star and handle were most expensive parts he lost. A new handle alone is $40. The chronarch came out like new... I'm into a Stradic 2500Fi right now, one of my favorites of all time. I believe that. If you recall, I never did any gunsmithing for profit, that's a legal gray area without asking permission from the government, and dark gray at that. I had someone accuse me of trying to rip them off, and I was like, "Dude. You bought the parts I told you to get, and paid me a box of donuts." I don't even like donuts. This is off topic, but dude, seriously, who doesn't like donuts? Lol! True enough Chris! I think he was expressing more dissatisfaction with being paid in doughnuts... I know I would. Now if some customer paid me in sushi I'd be quite happy! And no off topic in an open thread! Take it any where you want to Chris! First thing... don't spray your reels with a water hose after using them in salt water! The water pressure simply pushes the salt and water deeper into the reel causing even more problems! Wipe the reels off with Pledge lemon cleaner! Shimano does not recommend spraying any of their reels with pressure water hoses! And yet just about every single customer who walks into our shop with salt water reels ALWAYS tells us how they took great care of their reels and sprayed them off after every outing. So how did this idea of rinsing reels get started anyway??? This is the order of parts I found in line guide... darn near completely backwards. This is a good way to lose a fish and get line caught in the roller when least welcome! And another successful smooth stradic overhaul... I wish this one were mine! This is an old FG, did it look like this one or the next one an FH? These reels and this era is when the stradics earned their reputation! Just taking a look at this old reel, now 20 to 25 years old and it looks like brand spanking new inside... hardly used. Hard to believe. Mine was an FH, judging by those pics. I legit don't like donuts. Too much sugar, too sticky, ooey gooey. I'll eat 'em, but when it comes to junk food I'd rather have a bag of gummi bears. I was over here thinking "Stradic... what's so special about those? I've got one in a desk drawer I don't use..."
DOH! Syncopate! Walmart special. Still damn nice for a $30 reel. Got mine at Dirt Cheap, missing part #3869, but still works just fine. The anti-reverse pawl doesn't rotate out of the way as fast as it should without it, so you hear a light click during the first revolution. Good little light duty freshwater reel. And I'm one of the few people I believe who's a fan of the quickfire trigger. Also like how on this little reel, the bale does slam shut, but has a more subdued closure. A $30 stradic??? Unheard of! 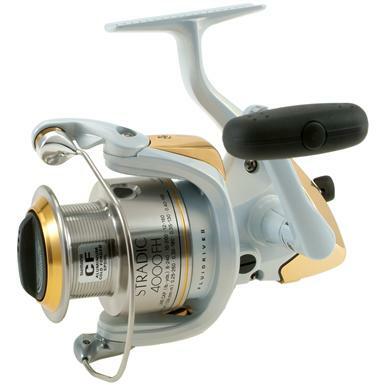 The curado and stradic are probably some of shimano's best selling reels of all time. I like the quick fire spinning reels too. Presently I am looking for one for one of our members here who um is not fond of spinning reels and having the bail always return to the same top position would benefit him greatly in teaching his muscles operation memory he can transfer to regular spinning reels later on. 7.Shimano Sahara Spinning Fishing Reel. Is your list in a specific order or just a random list of what you consider the best Shimano spinning reels? Having owned both the Spirex and the Sahara (as well as the Stradic) I would personally rate the Sahara as a better real than the Spirex (and the Stradic the best of the 3). I did like the double-paddle handle on the Spirex better though so I ended up buying some from Shimano and putting them on my Stradics and Saharas. Just never was a fan of the self-centering bail concept. It's all personal opinion though. As they say "one man's trash is another man's treasure". I did a google search of shimano's most popular reels. The list surprised me too. And it does appear to be in order. Some of those older Sahara's are built like tanks. I still have a couple myself in use after 20 years. Works better now that it is broken in good. I actually love and hate the self centering concept. It seems sloppy, but convenient for the next cast. Especially great with the quickfire system. But I hate the way it seems to beat the reel. 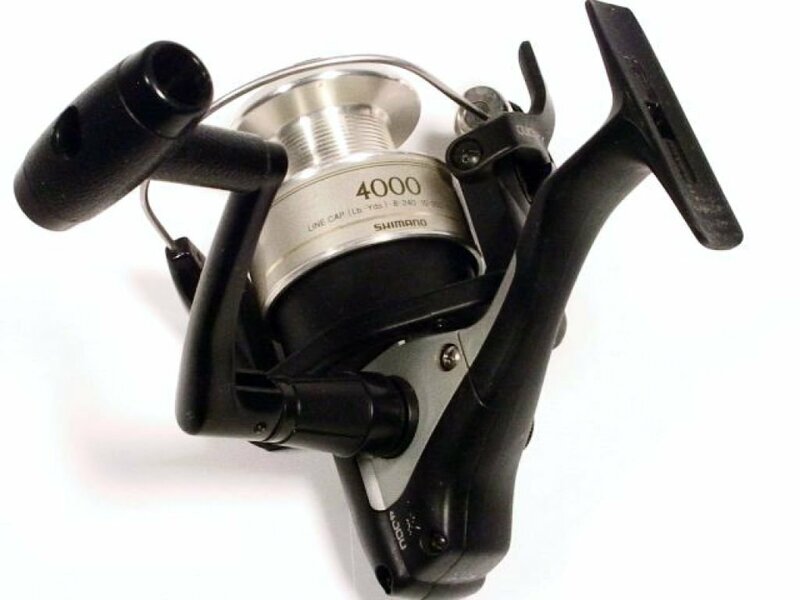 Shimano's TX4000. I LOVE IT. Wish I hadn't given mine to my oldest boy. Come to find out, he loves it too. He took it with him working on the road, he's somewhere around Sioux City right now. Making decent money, decent enough he let his friend talk him into dropping about $250 on a nicer rod and reel combo. He took it back, and put that $3 thrift store combo back in his truck. If it works it works SHC! This past weekend I overhauled a new one to me... an old Daiwa A-160X spinning reel now about 40 years old. One issue is this reel does not have a replaceable pinion gear. In this reel it is a pressed or hammered in part in the rotor. Another issue with this reel is it is one of those clicker reels. So I found some old outboard fuel line and cut me a little rubber bumper I added to the lever to reduce the clicking some to make it less annoying. Got the reel rebuilt and slapped some line on it and I put it on a $150 custom Kistler 7' spinning rod and tried it out. Found the speed is really slow like a 3 or a 4 speed ratio. Definitely a power reel. Lots of drag. Well built and precision reel. Well after using this old clicker reel for a week or so now I can say it is changing how I fish with a spinning reel. This reel is also not a great casting reel and it seems to be related to the thickness of the spool edge on the front side. I have an old Abu Mitchell clicking reel, very cool piece of gear and also very slow. But it doesn't have a long enough handle to take full advantage of that low ratio torque.